The Atari Jaguar was originally released in New York City and San Francisco on November 23,1993 by Atari Corporation for $249.99 and followed the rest of the country in early 1994. It was designed to surpass the Genesis,the SNES and the Panasonic 3DO, but would eventually be in competition with the Sega Saturn and Sony Playstation a year later. 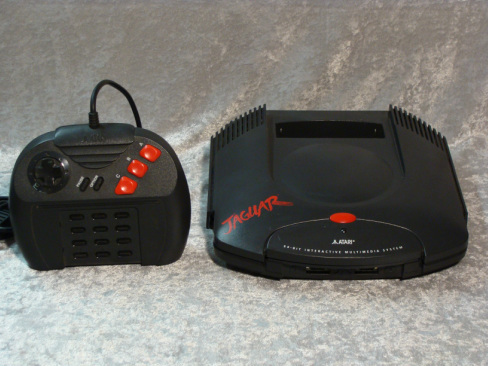 Although it was promoted as the first 64-bit gaming system, the Jaguar proved to be a commercial failure and Atari left the home video game console market until the release of the Atari Flashback.